We play the video games? We at AusGiraffe like to play sometimes video games! 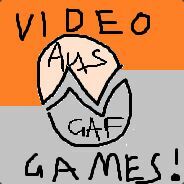 Join the Steam AusGAF group, check out our game names or our Starcraft Dos names and numbers, and freak the eff out. Or just come play WoW with us. Here are the AusGAF Collection episodes! Some idiots paid a website $11 each to win FABULOUS PRIZES. Made a new page? Throw a link to it here. Know how to format real good? Do that or something. INTERNET.